Hello and welcome everyone! 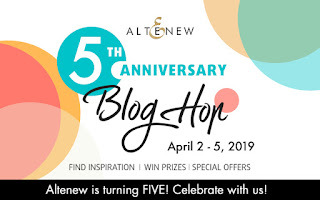 I am super excited and delighted to be a part Altenew 5th Anniversary Blog Hop Day 1 over at Altenew. Time sure does fly. I still remember when Tasnim and Jen started the company and for me it was love at first sight. I've loved their product since. Congratulations Tasnim and Jen! Here is to many more celebrations. 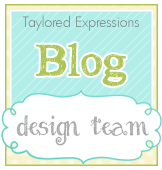 Now, you might have come here from the very talented Barb Engler's blog. I not start at the Altenew Card Blog. Script Word Dies and adhered it to the card. Here is a close up to see this pretty pp. For my 2nd. card I used lots of different products and went for my favourite mixed media kind of look :) I did some no-line watercoloring for this card. Love how it turned out. Thank you for dropping by! Have fun hopping! I would love to get either of these beauties! Stunning designs, love your work! So pretty. The shaker card is cute and the flower card is gorgeous! Beautiful cards! 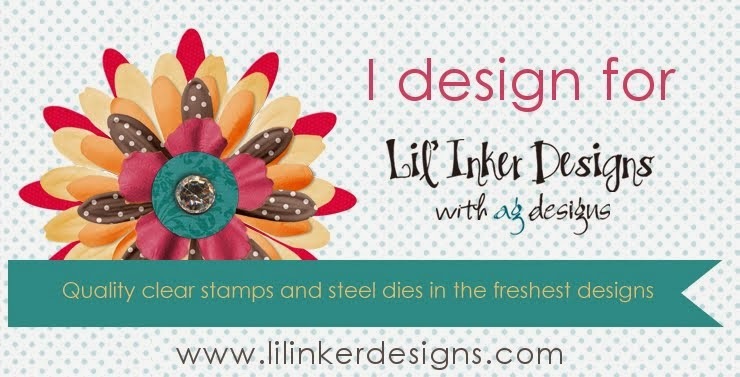 your designs are lovely and i love the new stamps from Altenew. I’m so in love with Altenew!! Can’t earn money fast enough to buy all the ones I want but I do have quite a few … about 70 sets to be exact! So happy to be able to purchase them here in Germany!! Congratulations Altenew! And thank you Isha for all your ideas and know-how!! Your cards are beautiful. I love both of them. Thanks for sharing. Beautiful card! Happy anniversary Altenew! Those are beautiful. 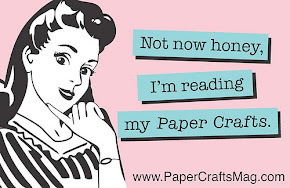 Now I know I need that leaf die! Beautiful inspiration - I have now added to my "want" list. Happy Birthday Altenew! I love both cards so much. The shaker card is awesome with the colorful background. I love the hugs sentiment. Your no line coloring is amazing and I love how you arranged the layout of the card. Thank you! Great cards! Happy Anniversary to Altenew, and thanks for being part of this blog hop! The flower card is outstanding you did a fantastic job coloring those flowers. Well done and thanks for sharing your talent. Beautiful cards with amazing colors!! Tfs! Happy Anniversary Altenew! Absolutely loved your cards. Fabulous cards Isha! 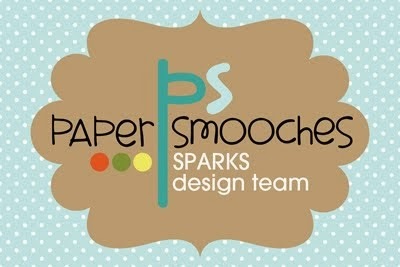 Love the way you used the Sketchy Lines Stencil on your background, gotta try this one! Both cards are fantastic, thanks for the inspiration and happy anniversary to Altenew! The rainbow card is awesome! I'll have to try that soon. Thank you for the great ideas! Happy Anniversary Altenew , Very pleased to be a part of your success 5 years ago 🌷 , much more success to come . Both cards are awesome ... love the stencil with the rainbow backing. Happy Anniversary Altenew! Happy Anniversary Altenew... love your company. i enjoyed this bloggers card with flowers on it. Love the first card and colors. Ahhpy 5th Anniversary Altenew. 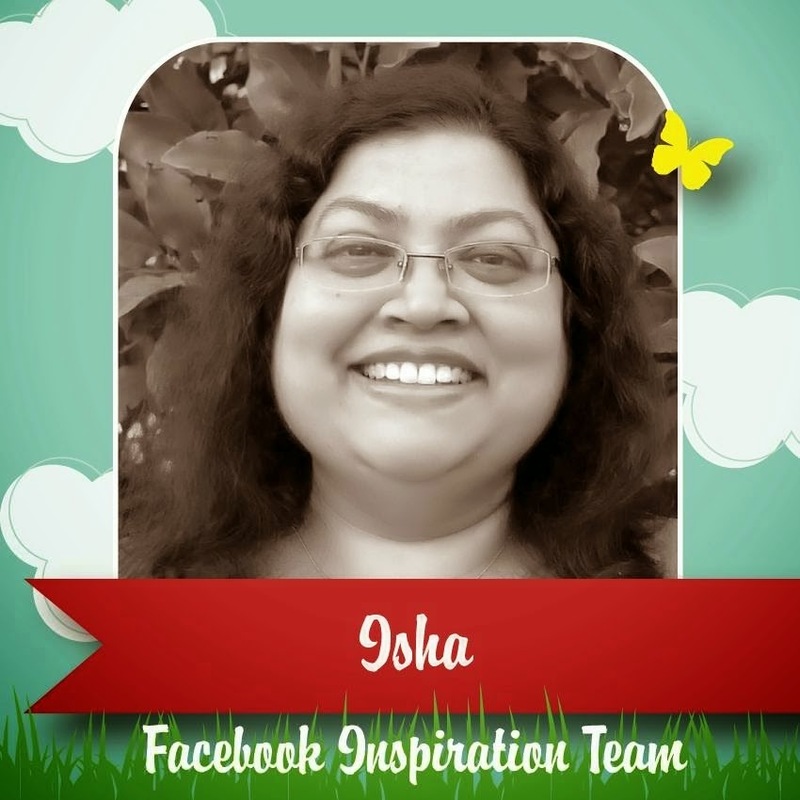 love your creativity, Isha!! Altenew has such beautiful products and you bring out the best with them! Such a cute card. I love shakers. Thanks. Love your design. Altenew makes it so easy to create beauty. 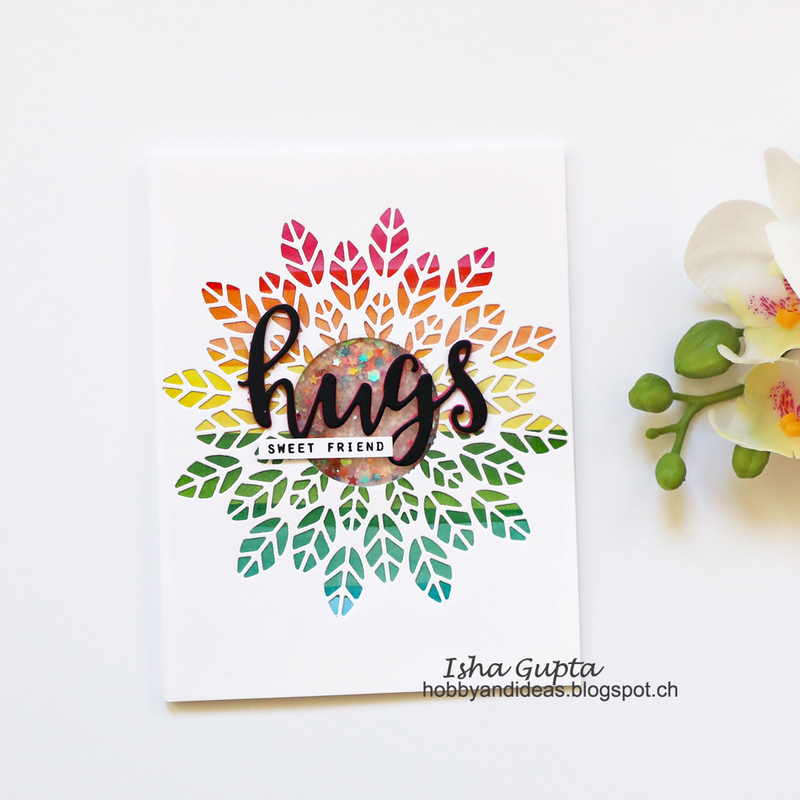 The Hugs card is so much FUN and the flowers are GORGEOUS! GREAT cards! Happy Birthday, Altenew! Beautiful cards Isha and I love the shaker but the background on the floral card is amazing with the beautiful colors of your flowers. Brilliant job. Your colors shout Spring! And I always love shaker cards. Oh, I love how you used the leaf medallion die... the shaker is so pretty. I also love it as the background for those beautiful flowers. Happy Anniversary Altanew! Gorgeous flowers on your lovely card. Hugs and a shaker card, what else can a girl want? Loved the bright colorful flowers you created! Inspiring! beautiful card! I love Altenew. My 'wish list" is huge and forever growing. Happy five to Altenew on a job so well done! Two completely different cards and both gorgeous on their own! Beautifully done, thanks for the awesome inspiration!! HB Altenew! Your first card is just amazing! Love the second one too!!! Awesome! 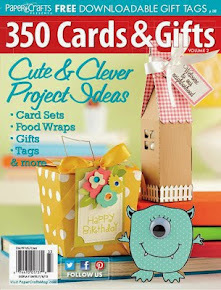 Cute colorful cards! Really love the floral card with lots of color! Beautiful designs and great work with your coloring. Love your style and your techniques are amazing. I can't wait for your next post. Excellent cards. I love the shaker card but your watercolor card is so beautiful. Flowers and colors very complimentary with lots of leaves and a terrific background. Well done. Happy anniversary Altenew. the pastel flowers on the 2nd card make me think of spring. So beautiful. Both cards are lovely. I always like to see nice shaker cards, but your Delicate Primrose is my favorite. Beautiful cards. Love the soft colors on the background of the second one. 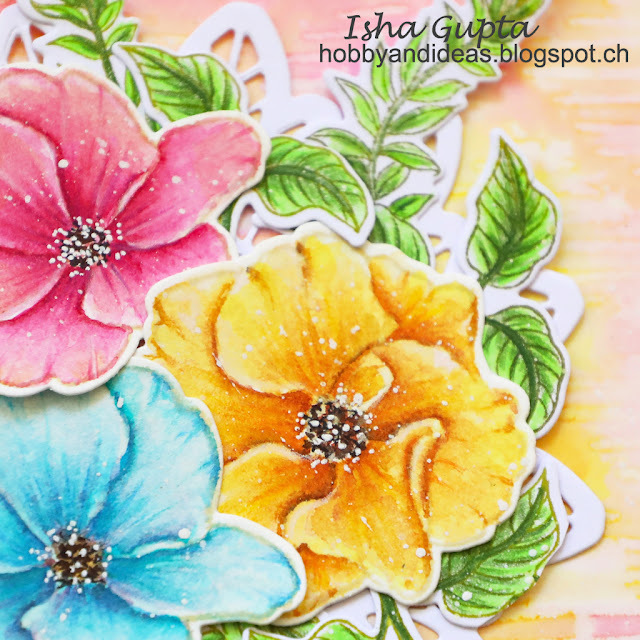 The colorful background and shaker element really made your first card stand out Isha - it's gorgeous! Lovely pansies. Looks like spring. Oh wow! These cards are beautiful!! I love them! Wow, these are beautiful cards. Love that leaf medallion and how you created a shaker card with it. Really beautiful cards! Thanks for participating in the this hop. Happy Anniversary Altenew!! Love both cards and Altenew! Your watercoloring is amazing! Love your flowers!!! Great hop and fantastic prizes. Beautiful cards to showcase Altenew products! I like the thanks card. The flowers are beautiful. 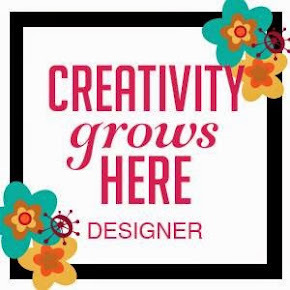 Love your creations, especially the flowers. Wonderful job! Both of your cards are really gorgeous! Beautiful cards. the second one is my favorite -- the colors and the style are gorgeous. Beautiful cards! I love the flowers. OH I love your cards, so creative! Love that flower card. So pretty. I love your flowers! Beautiful cards. Your florals are gorgeous! Happy Anniversary Altenew - looking forward to the next 5 years. 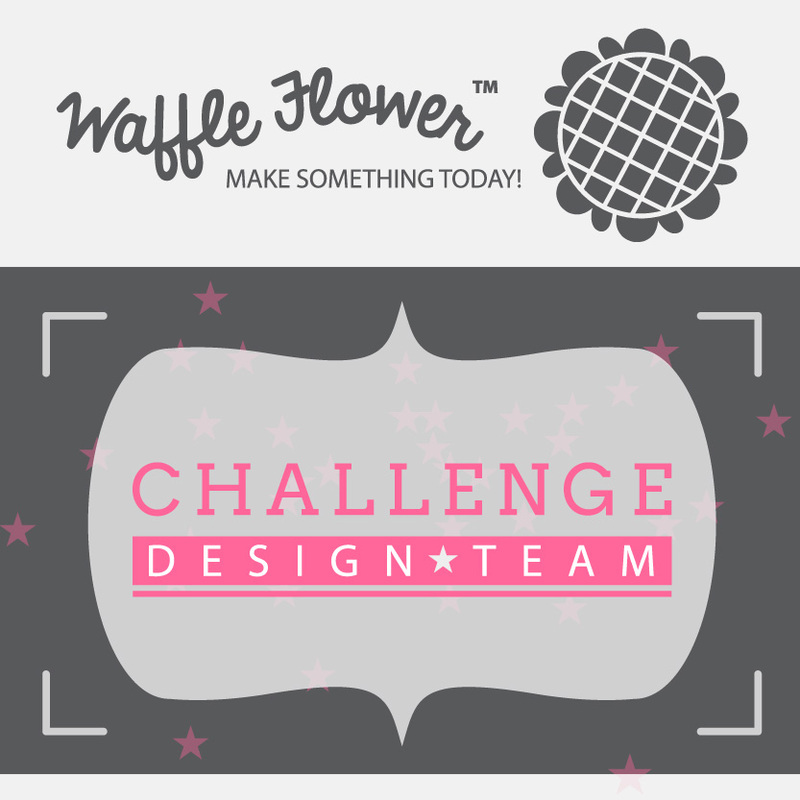 The leaf medallion die looks like lace under the florals; beautiful! I didn't think I would like the promise stamp set, but they are lovely. Wow, both cards are gorgeous and so creative! Both are very nice cards. Both of your cards are beautiful. I love that leaf medallion die too. It is so versatile. All the cards are beautiful but the floral is my favorite! I love your card with the flowers. Great colors. This is gorgeous!! I LOVE both card cards. These are amazing!! Love the shaker card. stunning floral card. It has been fun celebrating Altenew's fifth anniversary! Thanks for sharing your talent with your lovely cards. 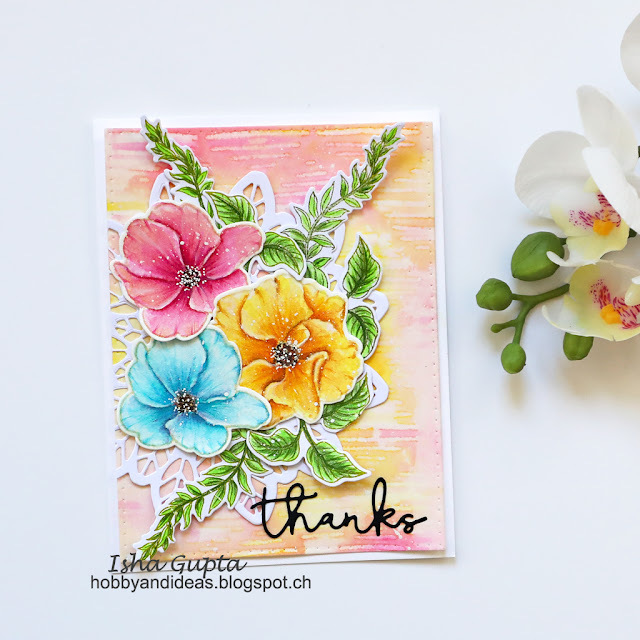 Your floral card is the perfect way to end this blog hop! Gorgeous cards, love these designs especially the leaf shaker card! Brilliant! I love the bright and vivid colors you used! Happy Birthday Altenew! 5 years! WOW! Amazing. THANK YOU for all your inspirations!! These are both beautiful. Also I love the red underneath the layered 'hugs' die. What a pop of colour! Both so bright and pretty!! Love the happy colors! Great cards....both of them were gorgeous! I am so happy that Altenew is thriving...it is such a wonderful company. Thank you so much for sharing your pretty cards today...and Congratulations again to Altenew!!! Happy 5th Birthday to Altenew, your cards are so lovely and who doesn't like a shaker card! The flower card is gorgeous! Beautiful card designs. Thank you for sharing. 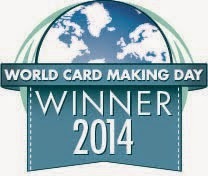 I enjoyed seeing your cards. They are both so vibrant and inspiring! 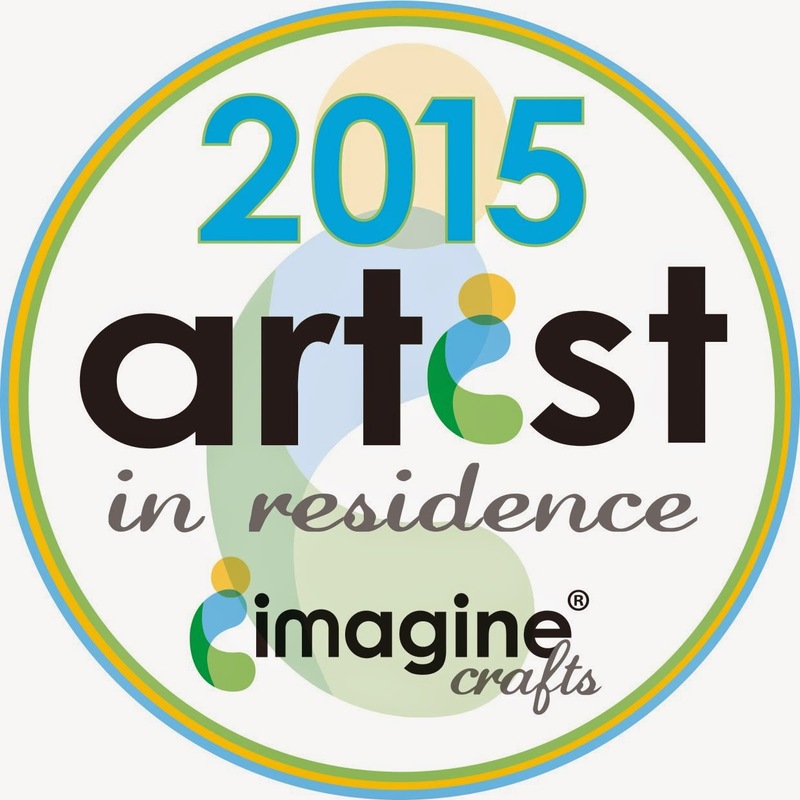 Thank you for sharing your artistry! Lovely, lovely cards. So vibrant and with such amazing colors. Thank you! Wow, your watercolored card is spectacular! A fantastic way to celebrate Altenew turning five years old!!!! I love the soft colors of the flowers and how you placed them atop the mandala die. Superb! Lovely cards - can't decide which one I like best! Bright and beautiful! Thanks for sharing!!! I am in live with the no line watercoloring. Now I only hope that I can try it and make it look as good as yours does. Thank you for the inspiration. Love these cards...so bright and cheerful! How Beautiful are these cards, love the choice of colors. Awesome ideas and gorgeous colouring. Thank you for sharing your talents. Love your fun and amazing cards. Love shaker cards as think they are so fun. What a wonderful example of your talents and giving inspiration. Great cards!! HBD to Altenew! This is simply amazing! Happy birthday Altenew! Two very pretty cards and your watercolour card is just stunning! Lovely cards!! Love your colors are stunning! Really impressive cards and love the flowers. You have a special way with them. just beautiful Isha. Lovely cards. Love those flowers. And your first card is stunning. LOVE your use of background dies and color! Always and inspiration! So very wonderful! :) Congrats Altenew! 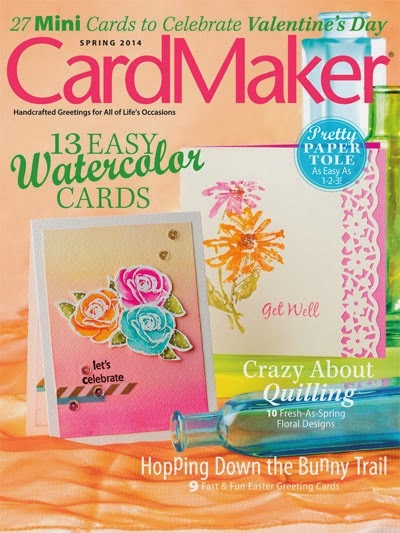 Gorgeous cards - love your watercolouring!! Love your watercolored flowers and the colors you chose. Such a sweet and romantic look. Beautiful use of color. So nice. Beautiful cards! I love the flowers and that shaker window is a fantastic and fun idea. I don't think I've seen anyone else do that with that die. I think of all the different cards out there. shakers are my favorite. Beautiful Cards!!! Happy Birthday Altenew. Both cards are sheer beauties. Thanks for the inspiration and the hard work you put in to create these beauties. 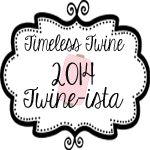 I will bk mark your blog and come to learn new stuff. Both stunning cards, Isha! Love them! Thank you for sharing! I love the CAS card because it's simple and colorful. The flower card is also amazing. Love the coloring and the color combination. Beautiful cards! I love your shaker card and the lovely colors of your flowers. 2 gorgeous designs, Isha, each so different from the other! Beautiful work! I really love a mixed media look on a card. Your card is beautiful and balanced. A look I strive to achieve too. Thanks for sharing your talents on these two different but gorgeous cards. Love seeing all the ways the wonderful Altenew products can be used. 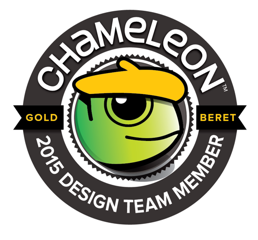 Love how you used the leaf medallion die. Thanks for the inspiration. Love the color scheme of your cards. Your shaker card is so sweet. Lovely job. Thanks for sharing your creativity! Beautiful cards! I especially love the shaker card! Two beautiful cards!! I love the colors in the shaker one! I did not know about you until now and I have to say that you are very talented. Thank you for sharing your work. Beautiful cards! happy Birthday Altenew! Love supporting an American company!!! Your cards are amazing ! TFS. Beautiful cards and I love the white droplets on the flowers! Two totally different cards and both lovely. I especially liked the one with the flowers, want to give that one a try. Thanks for sharing. Just beautiful! I love the colors you chose! Very beautiful and colorful cards. Your cards are beautiful. I totally love the effect of that leaf medallion die! Wow! Happy Anniversary to Altenew! Spent some time studying your second floral card done with the watercolors. I especially like the white specks, maybe done with masking fluid. In any case, it is a beautiful work of art. Fabulous cards!! Beautiful no line water coloring! I love your cards!!!! So pretty! Your cards are just gorgeous, thank you for sharing them! Beautiful cards. Thanks for sharing and Happy 5th to Altenew! Beautiful and fun colors! Thanks for the inspiration and congrats to Altenew!! !